It was cold in the winter of 1684. Damn cold. 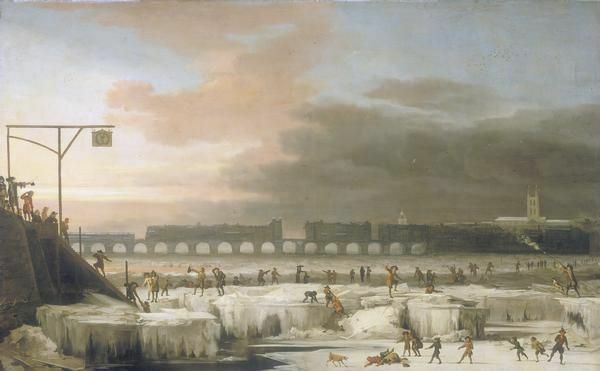 So cold, in fact, that a couple of paintings from the time, depicting Londoners gambolling on the frozen River Thames, remain a kind of pictorial shorthand for the depths to which European temperatures can plunge even 330 years later. 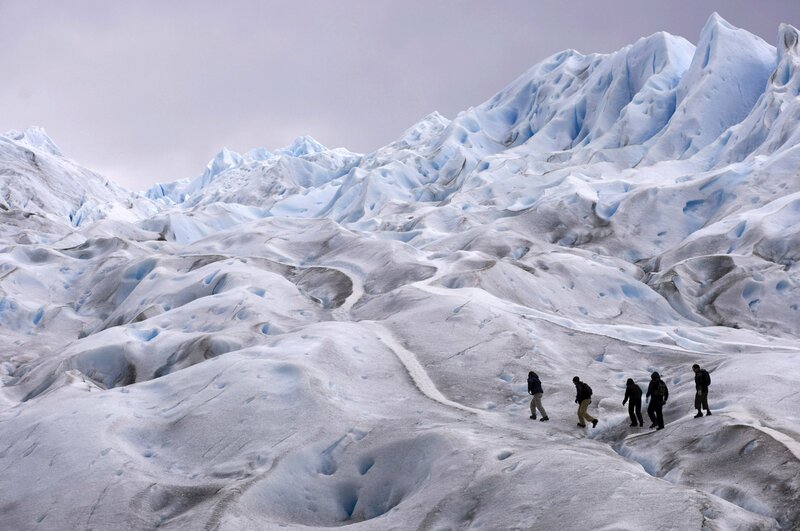 Earlier this year, those familiar paintings received a fresh airing on the pages of a number of newspapers and websites, carried beneath headlines warning that western Europe was heading for a new “little ice age”. Research had apparently shown that our sun had “gone to sleep”, much like it had for a 70-year period around the turn of the 18th century, leaving us facing a series of bitter winters on a par with the coldest on record. It was implied that we should brace for transport chaos, unsustainable energy demand and, presumably, that we should sharpen ice skates for our daily commutes. Global warming was yesterday’s fear: we must rather worry about soaring igloo prices in our capital cities. The truth is not as extreme – not least because the frozen Thames all those years ago owed as much to the weir-like design of the old London Bridge as it did to the cold. Climate science is also not that simple. Despite what a layman might intuit, a docile sun does not necessarily mean cold weather. Temperatures can soar in one part of the world even as another shivers, regardless of what is happening on the surface of our closest star, about 150 million kilometres into space. As for global warming, that is another matter entirely. A slight, temporary change in the sun’s activity cannot mitigate many years of suffocating emissions, whatever the deniers would have us believe. However, for all the tabloid spin of many of the recent reports, the science that prompted them has merit. For the past several years, solar scientists have agreed that there are currently very low levels of activity on the sun – the lowest in more than 100 years – and they are likely to fall further. Moreover, there has been a recent breakthrough in understanding the mechanics of the sun’s influence on regional weather, and in particular on the winters of western Europe and the eastern United States. Those two economic hubs – which were only just recovering from the crippling winters between 2008 and 2010 that closed airports, paralysed transport systems and prompted a governmental review in the UK – were central to the investigations. And if the tentative conclusions drawn from the new research were borne out, it may offer a tantalising prospect for meteorologists: that they may be warned of an increased chance of cold snaps up to 11 years in advance. The sun has been an object of obsession for as long as mankind has lived beneath it. In the early 17th century, Galileo was among the first scientists to record the presence of so-called “sunspots” on its surface, dark blotches sometimes visible to the naked eye, later determined to be produced by intense moments of magnetic activity. Tallies of sunspots recorded over several centuries reveal a clear pattern: the sun shifts between periods of high and low sunspot activity on a reliable 11-year cycle. Between 1645 and 1715, the solar maxima and solar minima, as the 11-year periods are known, were remarkably weak. “This 70-year period was indeed a time when solar activity all but stopped,” wrote the scientist John A Eddy in a landmark paper of 1976, in which he labelled the period the “Maunder Minimum” after the 19th century astronomer who first noted the anomaly. The Maunder Minimum also coincided with the cluster of bitter winters that gripped northern and western Europe, a period that became known as the “little ice age”. But despite the correlation between lack of sunspots and cold weather, scientists have historically struggled to produce a deterministic explanation. Throughout the period, there were plentiful hot summers too and a number of perfectly mild winters, plus very little change in global mean temperatures. The peculiar conditions on the sun certainly overlapped with the cold snaps, leading to the terms “Maunder Minimum” and “little ice age” being used interchangeably. Both terms were prominent in recent press reports because contemporary solar scientists, whose methods of measurement have improved vastly since the 17th century, had noticed that sunspots have recently decreased again. Our most recent solar maximum, in about 2007-08, was one of the weakest on record, part of a sustained series of insubstantial cycles. “When you look at the overall trend of solar magnetic fields and things, then you see that we’ve now had three cycles where every maximum has got weaker, every minimum has got deeper, and there’s no reason not to expect that trend to continue,” says Lockwood, whose work was behind most of the media reports. “It’s not a negligible probability that we go into a Maunder Minimum.” After studying ice core records, which also offer hints as to previous atmospheric behaviour, he puts the chances at around 20% – still unlikely, but significant enough to take notice. In concurrent research, teams of physicists at a number of institutions, including Oxford, Cambridge and Imperial College, London, have continued to study the solar effect on weather. In October 2011, the British Met Office announced some conclusions from the research, revealing a link between the sun’s output of ultraviolet light and cold winters on specific pockets on the earth’s surface. The magnetic activity that produces sunspots also emits high levels of ultraviolet, which then hits the earth’s stratosphere. It then penetrates downward and influences conditions in the troposphere, where our weather tends to take shape. Professor Adam Scaife, head of seasonal to decadal forecasting at the Met Office, says: “You get four splodges: two cold ones, over the eastern United States and the UK and northern Europe. Those two go together. And eastern Canada and the Mediterranean, those two go together and get milder . . . A new aspect is that when the surface climate changes, then it also changes the Atlantic ocean and that can feed back and amplify further.” When the two strands of research combined – the solar aspect and the climate science – it became easy for everybody to leap to extreme conclusions: the next solar minimum, scheduled for the end of this decade, will be a good time to be manufacturing ski-suits in Europe. The problem is that weather patterns can never be predicted perfectly. Forecasting in any given region is a tremendously difficult discipline, in which countless factors skew results. For all the fine tuning of models and close analysis of existing data, an unexpected volcano eruption, for example, can render all calculations irrelevant. There is convincing historical research that points to volcanic activity as a contributory factor in the little ice age of the 17th century. Meanwhile the El Niño southern oscillation is currently lurking somewhere off the Pacific Coast of South America. Its influence on weather across the globe is yet to be fully understood. Dr Amanda Maycock is a Research Fellow at the University of Cambridge, working in the Centre for Atmospheric Science. She uses the Met Office’s sophisticated climate models to tinker with variables known to influence weather, essentially turning the sun up and down, for instance, or artificially removing or increasing greenhouse gases, and noting how the weather models react. She likened the forecasting process to rolling dice, with factors known to have an influence, including solar activity, slightly loading one side or another. Despite all evidence indicating one outcome is likely – a mild winter, for instance – the dice may still roll towards a freak double six. “We can think of it in a statistical sense,” Dr Maycock says. “We can say, OK, if we are going into a period of unusually low solar activity, are our dice going to be weighted differently? Are we going to have a greater chance of experiencing cold weather.” The answer is yes only in its broadest sense. It is for this reason that the solar element to weather predictions appears so attractive. Currently, accurate weather forecasts are short term only (about a week to a month in advance), while there is also significant research into long-term trends, including investigations into the effects of greenhouse gases in the coming century. Businesses don’t have time to prepare adequate responses on the one hand, while the other timescale is too far away to feel relevant. But an improved accuracy in seasonal to decadal forecasting could allow risk managers to run their own calculations and to improve their planning. Every scientist involved in the research was also adamant that the sun’s cycles, however inactive they become, will not save the world from global warming. It would be perilous to abandon programmes aimed at reducing global emissions, based on what the sun’s lack of activity might mean in only a couple of areas in the world. “All science points to the fact that greenhouse gases are going to continue increasing and that is really the dominant factor for how climate is going to evolve over the next centuries,” Dr Maycock says.